Q: Can I design a template for my flash photo album? I plan to design a digital photo album with the Photo to FlashBook (Pro) and upload it online to share with my friends. I think it will be better if there is a beautiful template to decorate it. In this way, the flash album will be much attractive. 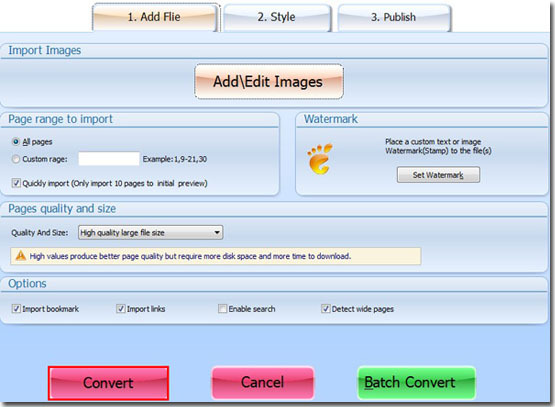 Well, photo album maker is used to convert photos to flash book. So it allows you to design template for your album. 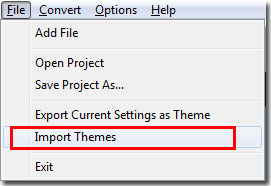 Step3: import themes or design flash book template by yourself.